I use these wordscape designs to assess understanding of key words. 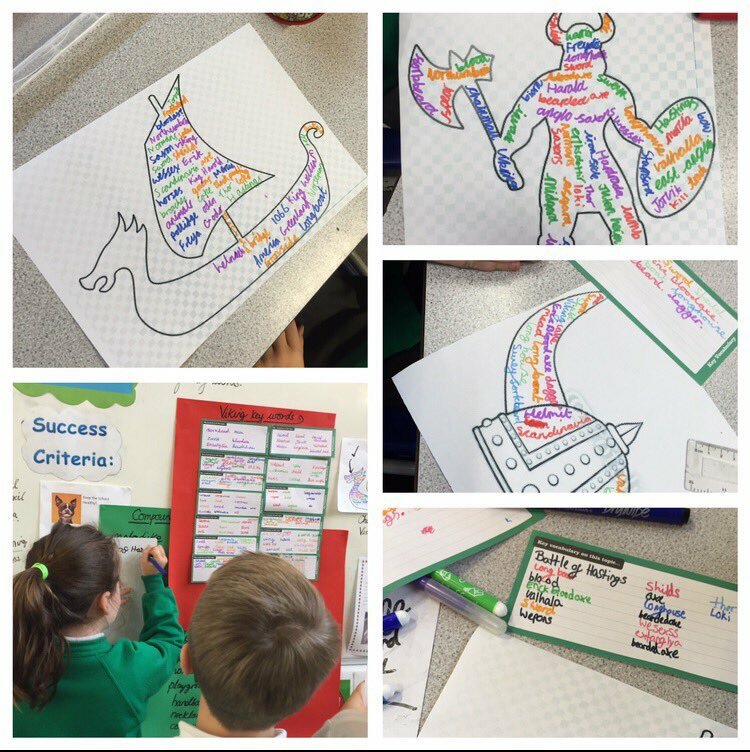 The children record their key words and phrases inside the template (that can be linked to the specific theme). They are then able to discuss and build upon prior knowledge to develop their understanding and make links to other learning whilst completing their wordscapes. I normally ask the children to complete these over one session to show what they can recap quickly and efficiently. These wordscapes are also great for a bright, decorative and informative piece of learning for theme books or working walls. This concept can be used in Maths too, as the children could record calculations to show their understanding of number bonds to 1000, for example. The vocabulary slips that are used are designed by @pw2tweets and these are a fast and efficient for children to record key words at the start of the session, before they begin their wordscapes. 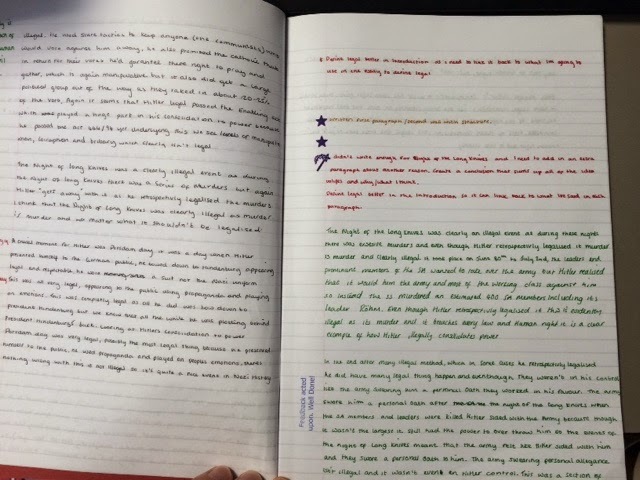 This entry was posted in Ideas, Literacy, Maths and tagged #PedagooFriday on December 4, 2015 by Niomi Roberts. I saw this idea on Twitter originally and like most of our resources it was amended to our students. The concept is simple the ‘Boarding Pass’ is given to students as they enter the classroom and are instructed to fill in their name and ‘One fact from last lesson’ the teacher then goes through some of the answers with students writing them on the board. G&T students and students that finish early are encouraged to write down a ‘key word’ from last lesson too. Again these are reviewed and shared on the board. This is a great way to link previous learning. Lesson objectives/todays outcomes are then presented to the class by the teacher. Students are asked to digest this information and fill in an individual ‘target for todays lesson’ and ‘what level I aim to achieve’ these are kept by the student throughout the lesson. At the end of the lesson students are asked to fill in the ‘Departure Card’ (which is eventually torn off via a perforate edge). Students write ‘One thing they have learnt’ and ‘What level did you achieve’ based on the learning in todays lesson. Students then love tearing off the Departure Card with the perforated edge and handing it to the teacher as they leave the lesson. 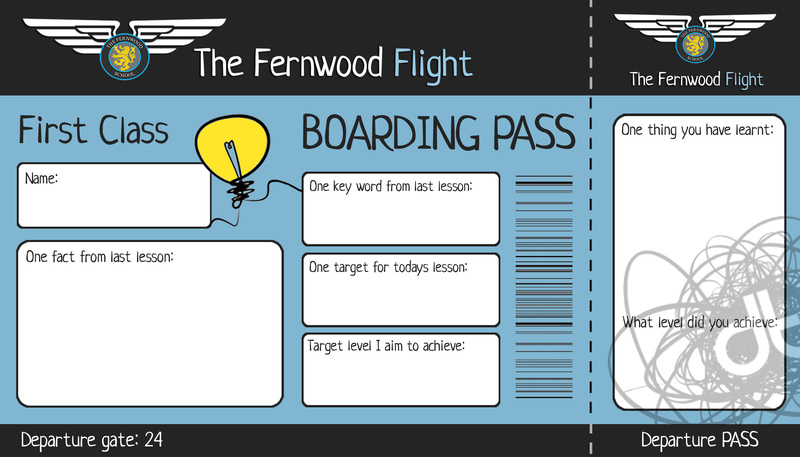 The ‘Departure Card’ can then be used at the beginning of the next lesson again linking prior learning/showing progression and/or stuck in a work book. Questions can be changed to suit the lesson/subject I imagine it could be used in all subject areas it has worked particularly well in our schools MFL lessons too. This shows fantastic knowledge and understanding of a topic in an engaging yet simple method! This entry was posted in Assessment, Creativity, Curricular Areas, Curriculum, Ideas, Resource, Technologies and tagged "technologies for learning", #PedagooFriday, #pedagoowonderland, active learning, activelearning, afl, art student, assessment, CPD, edchat, involve, learners, learning, Plenary, progress, starter, teaching on May 11, 2015 by Mike. This is the video blog detailing my TLC focus and the impact it has had. This entry was posted in History, ICT, Pedagoo, PedagooFriday, Social Studies and tagged #PedagooFriday on October 25, 2014 by David West. After 18 months in Special Measures and being constantly under scrutiny (a particularly devastating blow to our department – we’d just attained 81% A*-C against a target of 69% when it happened) we’re always looking for new and interesting ways to bring engaging ideas into our classrooms. This idea came about in February as we were bracing ourselves for another Ofsted visit and has been a massive success with Year 10 and Year 11. It’s simple, effective and fun but there’s more to it than just being a grid with pretty colours. Firstly, the questions are all linked to the mark scheme descriptors for the exam. The one in the picture is designed for the AQA unseen question and I’ve also created an adapted version for the Anthology poetry. This allows students to respond to the poems in a way that is directly beneficial to the exam skills they have to demonstrate. Secondly, The colours aren’t random. Each colour is linked to a different area: pink=structure, purple=feelings and attitudes/mood and tone, yellow=language, blue=themes and ideas, orange=talk for 30secs, green (without doubt the favourite with students)=creative connections and ideas (not directly linked to a specific mark scheme area but to access the poem in a different way and just maybe come up with something that unlocks the poem in a way they wouldn’t have considered). Thirdly, the way they choose the question to answer is differentiated. Say they roll a two and a four. If they take the larger number horizontally across the grid and the smaller number vertically, the question will be more challenging than if they do it vice versa. All the questions require thinking about but I think that to access discussion and ideas at the highest levels students often need to ‘warm up’ and this is one way they can do it. You’ll see in the picture I also made a vocabulary grid to use alongside the game. Eight of the boxes link to the question areas, one includes the tentative language (could, may, might, possibly) we’d encourage students to use when exploring Literature. Whilst the words on the vocabulary grid are pretty comprehensive, I also made sure they fully covered anything students might need for the ‘Relationships’ cluster in the AQA Anthology. 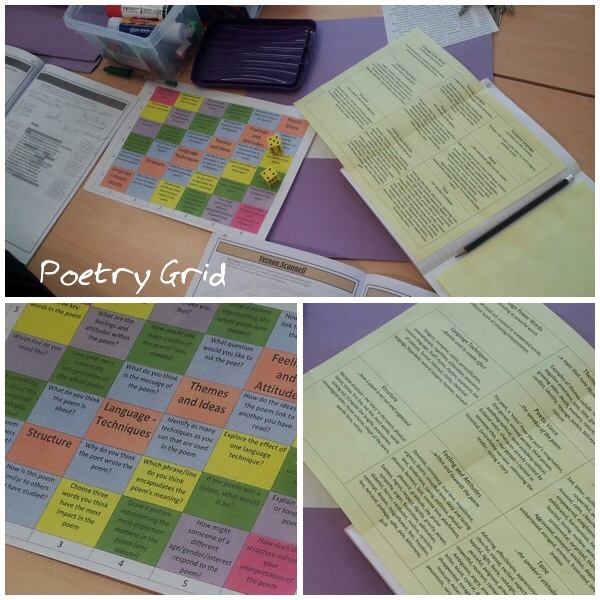 For Year 11 who have studied all the poems and are preparing from the exam, they have used the grid in a few ways. Sometimes we focus on two specific poems. This is particularly useful prior to writing a ‘powergraph’ (more on this another time but it’s transformed the approach for our more able students). I mentioned creativity earlier. Combining the questions with a pick-a-poem style (ie pick two poems randomly from a bag/spinner) has generated all sorts of links and connections that students might never have thought about otherwise. In whole class feedback, there a couple of ways it can been taken further. I usually ask what the most perceptive point is that someone in a group has made so everyone can benefit from different ideas. I’ll also ask which question has promoted the best discussion in the group-it can vary for different poems. I’ll then give students extra time to continue discussions, possibly looking at questions mentioned in the feedback part but they can also look at questions of a certain colour if the dice have missed out any areas or even just choose a question they fancy. One of the other benefits that my less confident students have found is that certain questions really help them unlock ideas. These are the questions they revise and when going into an exam they can consider them if they are stuck. Many of my Year 10s reported this was the technique that helped them the most in their recent Unseen Poetry mock. It’s interactive, fun and relevant. The responses are genuinely worth it and encourage students to think in a way that isn’t gimmicky but genuinely higher level. That’s been my experience anyway! I’m happy to email the resources via DM. 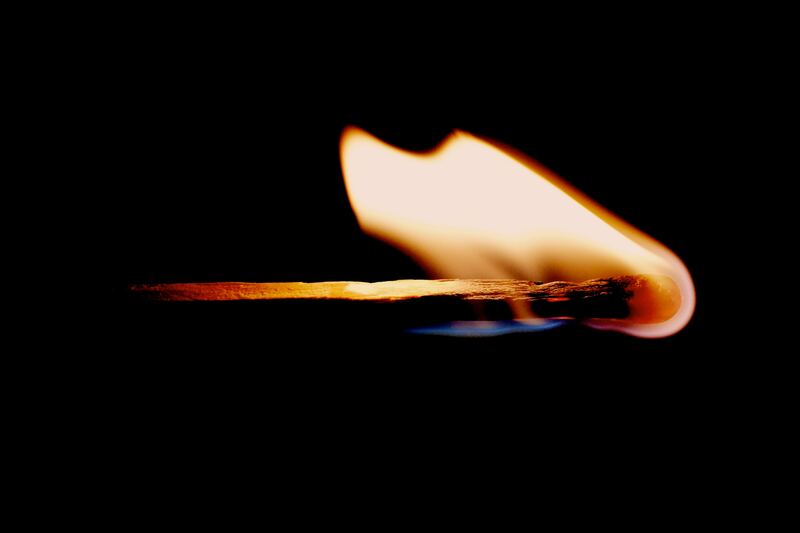 This entry was posted in Creativity, English, PedagooFriday, Resource and tagged #PedagooFriday, creativity, English, GCSE, Poetry on April 6, 2014 by @lecfarnborough. By using positive framing; only announcing names of people who were doing the right thing, it encourages those who are slow to start. “I can see James has started jotting down some ideas…I can see Megan has put one point for improvement”. Within 30 seconds, everyone is settled, they all have opinions and are scribbling away. This is the most challenging class in the school. Those who looked like they had finished were asked to suggest improvements to the posters or think of general rules to make the posters better. Compare that to negative framing where you call out people’s names for being slow to start, “Ryan, you’ve been in here 5 minutes and you still haven’t got out a pen…Janet, why are you walking around?”. This type of framing adds a negative vibe to the lesson and may also lead to confrontation. Asking only students who put their hands up is probably one of the worst habits you can get into according to Dylan William. The shyer students never get to contribute, those who are feeling a bit lazy will simply opt out and those with their hands up will get frustrated when you don’t pick them. 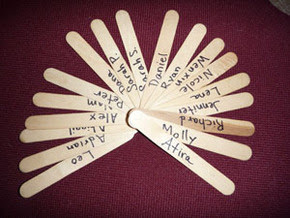 Using nametags or lollipop sticks on the other hand keeps the class on their toes. In combination with Doug Lemov’s “No opt out”, it ensures that all students will contribute when asked to give an answer. If a student answers “I don’t know”, you can respond with “I know you don’t know, I just want to know what you think”. Every student has something in their head. If they’re still hesitant, simply reinforcing that there is no right or wrong answer will build their confidence and even the shyest students will usually contribute an answer. Extra tip: There are times when the question is so difficult that there is a good 30-40% of students who do not know the answer and do not even know where to start to think. In these situations, it is a good idea to do a “Think-Pair-Share”. A think pair share with a written outcome means you can quickly see if the majority now have an answer to give or if you need to go from pairs to fours to widen the pool further. All the aforementioned are teacher routines. As a Computing teacher, you will appreciate that we have one big distraction in front of every student, their own screen. For some teachers, they dread laptops or a lesson in the Computer lab as it just leads to students going on Facebook. Social networks aren’t even blocked in our school, but a student has never gone on a social network in any of our classes as far as I can recall simply because the consequences are so severe. Some teachers also find it difficult to get students attention. I would recommend asking students to close their laptop screens to 45 degrees on a countdown of 3-2-1. Some people call this “pacman screens”, I’ve heard of teachers literally holding up a hand in the shape of a pacman which seems quite novel and efficient. I just call it “45”-efficiency in routines is important! By having routines for handing out folders, getting students’ attention, you make your life as a teacher much easier. Expectations are clear and students do not need to think about their actions, they just do it and in turn you’re making their lives easier. By having clear consequences for not following the routines, most students are quick to latch on. Ending with an Exit ticket is the quickest way to find out what students have learnt in your lesson. No student can leave the room before giving you their exit ticket. With these little slips (No smaller than a Post-It Note and no bigger than A5) you can quickly spot misconceptions and it also helps plan the start of your next lesson. It’s one of the most efficient forms of assessment. Some teachers sort these exit tickets into piles, one for those who will be rewarded with housepoints next lesson, one which is the average pile and the last pile is the one where students simply “did not get it”. The last group can also be pulled up for a quick lunchtime mastery/catchup session before your next lesson with the class. As mentioned earlier, these piles go directly to inform your planning. Very quickly you can plan for the top and the bottom. When you get the dreaded Ofsted call, remember that there is no way that any teacher can change their teaching style for one lesson observation without seeming un-natural about it. The kids spot it, your observer spots it and you just end up running around the classroom sweating whilst trying to do a load of things you’ve never done before. Yes, I’ve been there loads of times, in fact probably for every single observation in my first 6 years of teaching! It took a school culture which does not believe in “performing for observations” or “pulling out an outstanding lesson with lots of gimmickery” which really changed my practice. 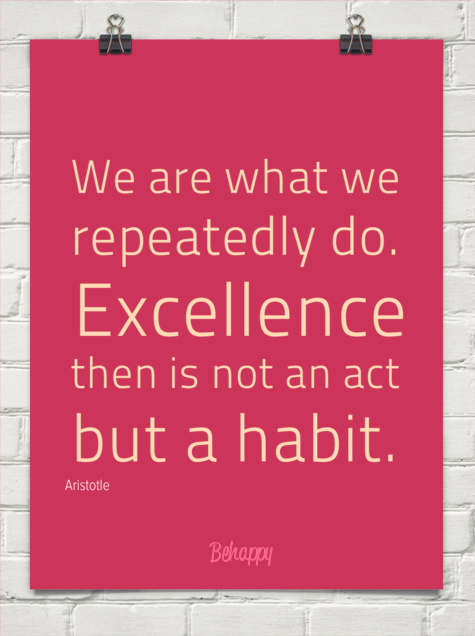 The most important lesson I’ve learnt this year (mainly from my amazing head of CPD), is that in order to be excellent, you have to practice (and practise) excellence everyday. As your good habits become automated, you end up freeing up some of your mental capacity and therefore you are able to do even more for your students. This entry was posted in Assessment, ICT, Ideas, Implementation, Involving Pupils, Pedagoo, PedagooFriday, PedagooReflect, Professional Learning, Technologies and tagged #PedagooFriday, assessment, Classroom, Doug Lemov, Dylan William, habits, learning, reflection, teaching on February 9, 2014 by William Lau. 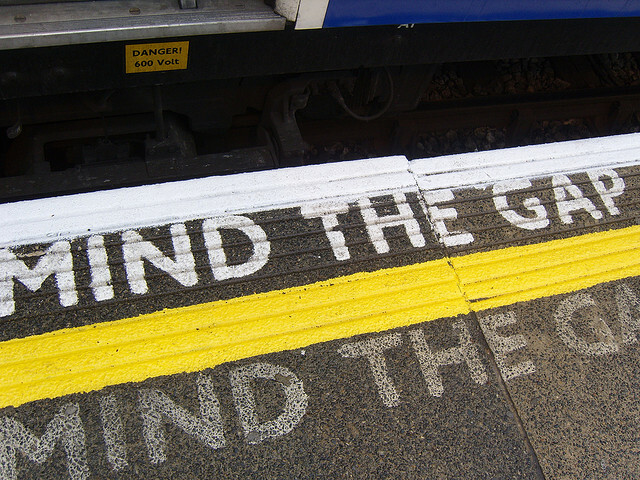 Mind The Gap: Is your lesson worth behaving for? The current performance-orientated climate in schools in England seems to make it difficult for teachers to practise what they value. This is not a new concept to me…but it’s stuck with me all week in a way which told me something was up, but I wasn’t entirely sure what. And then I sat down to plan my S1 Science lesson for Friday and it hit me…things needed to change. I have this S1 class for one period per week last thing on a Friday morning. They’re lovely really, but as the year as gone on a fair number of them have been struggling to behave in the way I’d like and things have been becoming a little fractious. As we often tend to do, I’ve been blaming them mainly…until this week. Last week we’d finished a topic which I’d taught following the departmental plan, using the departmental resources. The resources aren’t perfect, and I’ve been trying to improve them as I go…and things seemed fine. However, I’ve not been looking forward to my lesson with them and judging by the behaviour of some, and the frustration on the faces of others, nor have they. When I looked at the resources for the next topic this week it dawned on me…my practice-values gap had become too great. Sometime ago now I began to experiment with involving students in planning their learning and assessment…whilst I found it to be a fantastic approach I haven’t been able to develop this practice as much as I would’ve liked to due to leaving the classroom for 18 months, changing schools, long-term absence and mainly teaching qualification courses in my new school. However, I realised this week that I could be doing what I think is right with my S1 class now and so I decided to go for it. I planned a stimulus and planning lesson which involved discussing big questions eliciting previous knowledge and encouraging them to come up with their own burning questions which will then form part of our planning for the topic – which they’ll help plan out and name. What if all humans die? How many animals/species live on the planet? What will happen to the planet in the future? Will we be able to live on another planet? Where is the densest forest? How did we come from apes? What is the worst pollution? If the water level keeps rising what will happen to Venice? How does Chernobyl harm the world? What if the world’s biggest super volcano erupted? Could the water levels rise so much it would flood the whole world? What happens if we don’t look after the world? What is the worst thing that could happen to the planet? As delighted as I was with the success of the lesson, another thought went through my head. It’s a challenging question which we’ve picked up from our friends at Cramlington Learning Village…it’s “Is your lesson worth behaving for?” The difference in the students between the previous weeks and today has really made me doubt whether they have been up to now…but I’m going to to do my best to make sure they are from now on. Both for their sake, and my own. 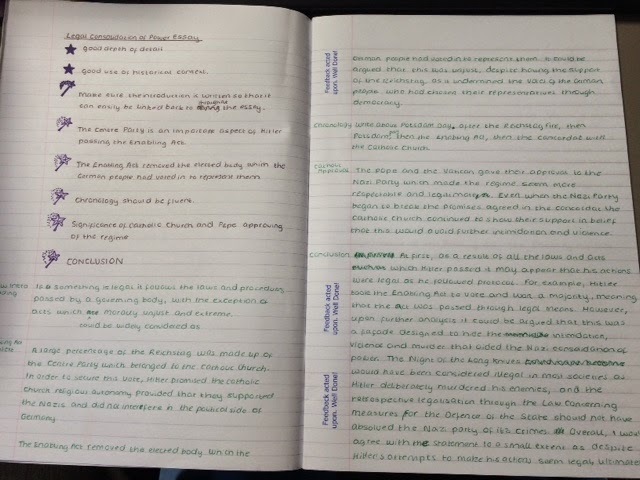 This entry was posted in Involving Pupils, Science and tagged #PedagooFriday on January 24, 2014 by Fearghal. This entry was posted in Pedagoo, PedagooFriday and tagged #PedagooFriday on November 16, 2013 by Liam Roberts. 10 things every child with #autism wants you to know pic.twitter.com/JG5eH2AXeH #pedagoofriday @AnnaMoffatt1 a useful poster for all! This entry was posted in PedagooFriday and tagged #PedagooFriday on November 10, 2013 by Hannah Tyreman. #pedagoofriday showing y9 last nights #educatingyorkshire and watching their jaws drop. #Musharaf fascinating conversations started. #pedagoofriday Really positive conversations with pupils & parents at Parents' night. Reflecting and setting targets for improvement. This entry was posted in Pedagoo, PedagooFriday and tagged #PedagooFriday on October 26, 2013 by Rachel Preece-Dawson.